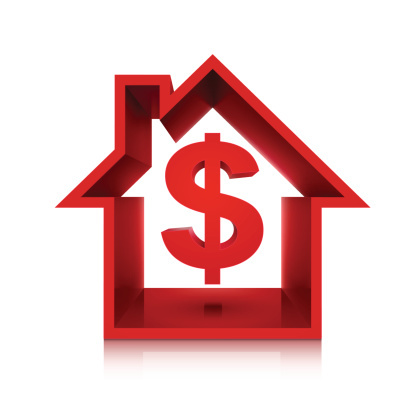 The FHFA (Federal Home Finance Agency) is reporting no changes in 2015 regarding loan limits on mortgages. This marks the 10th year allowing for a top limit of $417,000 on single family home mortgage loans, the same as last year. This is great news for home buyers. Loan limits on mortgages help home buyers and homeowners looking to refinance with government-backed housing loans with lower rates than conventional loans. Loan limits are put in place by the FHFA on January 1st of each year and apply to conventional mortgages across the country. These loans include purchase and refinance mortgage loans. Home owners and home buyers can get conventional loans through Fannie Mae and Freddie Mac. What Determines The Loan Limit On Mortgages? A loan limit simply states the ceiling for standard, conventional mortgage loans through government affiliated loan programs. They vary slightly across the nation depending on region or type of loan, but the limits for all loans in a location or type of loan are spelled out in the mortgage guidelines. This makes sure that all lenders are aware of the requirements. It is important for homeowners and buyers to understand that the limits are in place across the board. That means that the Federal Housing Administration (FHA) and the Department of Veterans Affairs loan department (VA) maintains the limits set for their agencies. Those loans that exceed the values set aside by the FHFA can’t be insured by federal agencies including Fannie Mae or Freddie Mac. The current loan limits have been in place since 2006 following a raise in the loan limits by the federal government. There are loans that are higher than the loan limits allow. These are called jumbo loans by lenders. These loans are available through independent banks and lenders either locally or nationally. Any loan that is above the loan limit of $417,000 would meet the needs of a jumbo loan. Interest rates can be higher or lower on jumbo loans depending on the situations. The lender’s requirements on these types of loans are usually much stricter. This is due to the fact that lenders do not have the same assurance they feel protected with under the government loan programs. Down payment requirements on jumbo loans are usually higher as well with big loans that are not backed by government insurance programs. Low and no down payment loans are typically not available with a jumbo loan. Credit requirements are higher and income levels must meet the lender’s higher levels to be approved for an uninsured loan. That makes the FHFA’s decision to keep the loan limit at $417,000 an important issue. It allows homeowners to refinance using HARP for a fair home valuation, or low down payment program such as Fannie Mae’s 5% down loan so they are able to get the low payments available. It also allows home buyers to afford a home even during a time of rising home values without paying more interest, thereby saving money on payments. Like the VA and FHA, government loan insurers Freddie Mac and Fannie Mae are issuing no rise in the loan limits on conforming loans. While they have more leeway in determining loan limits, both agencies have decided to keep the loan limits unchanged. This is a pattern that remains in place since 2006 when limits were raised to $417,000. Even during the tumultuous times between 2007 and 2011, the loan limits were kept at the same level. This was a change from former government loan strategies that pushed loan limits up when home values went up. If home values fell, the government typically lowered the loan limits accordingly. However, in 2007, even though values fell drastically, the federal government kept the loan limits in place. This made loans available to U.S. buyers allowing for a recovery from a difficult period, and spurred growth. In some areas of the country, where housing costs are higher, the government actually raised the loan limits. In these areas, the typical home price is higher than the median home price in other areas of the country. This made it necessary for a higher loan limit for buyers to acquire an average home. According to the U.S. government, there are 234 areas of the country that fall into the high-cost category. These include areas such as New York City, NY; Chicago, Illinois; Los Angeles, San Jose, Oakland and San Francisco, California. However, it isn’t just the high-cost areas that are spared a decrease in the limits. Even those areas that do not fall into the high-cost category will maintain the same loan limits set by the FHFA in 2015. The type of housing determines the limits of a standard conforming loan. One area of the country has a loan limit that exceeds even the normal high-limit loan categories. That area is Hawaii. Even if your loan exceeds the 2015 FHFA loan limits, you can still get approved for the mortgage you need. There are other options other than a conforming loan that will help home buyers purchase the home of their dreams. These same options can help a homeowners refinance their existing mortgage. One way to obtain a loan that is higher than the 2015 loan limits allow is to look into an FHA loan. FHA loans are still government backed loans, but their regulations are set by the Federal Housing Administration, and are slightly higher than conventional loans. FHA loans also have low down payment requirements, letting home buyers purchase a higher priced home with as little as 3.5% of the purchase price down. FHA loans are more flexible than most Freddie Mac or Fannie Mae loans as well. What Can You Do With Your Loan Limits? With the Back to Work loan program through the FHA, even buyers with a serious fault on their credit history such as bankruptcy, foreclosure, or short sale can obtain a loan if it has been 12 months or more since the event. That leniency is not available through conventional loan programs. People looking to refinance or buy a home that exceeds the loan limits can also consider a VA loan. You will need to have a military background to be eligible to apply. For home buyers who do not meet the VA requirements looking for alternatives to an FHA loan, the USDA also provides loans on rural properties, and homes in non-urban environments. Private loan companies and local banks are another source of lending for buyers and homeowners looking to acquire a loan that exceeds the federal loan limits.